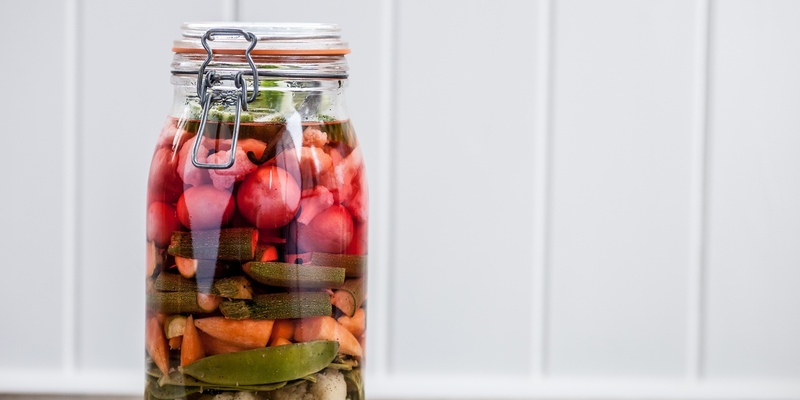 Pickling is a great way of preserving vegetables but can also impart a great flavour, too. Pickled vegetables work well alongside both fish and meat ingredients - their tart flavour serving to cut through richer tastes. Browse this fantastic collection of picked vegetable recipes including Marcus Wareing's vanilla pickled vegetables, Nathan Outlaw's crispy oysters with pickled vegetables, and Paul Ainsworth's venison carpaccio.